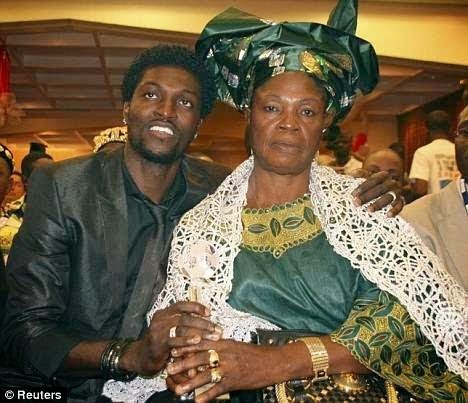 “For the past six years Adebayor has rejected his mother and his immediate family whilst doing charity outside on the premise that our mother is a witch,We have been thinking of his future as a footballer and did not want this issue out in the media but it is becoming too much. As at now, our mother is selling polythene bags, padlocks and other things on the border (Ghana/Togo frontier). Our mother has not seen him for more than a year and he rejects her calls anytime...our mother is not calling him for his money; she just wants to see him because she loves him very much..
Could you believe Adebayor ordered his machomen to sack our mother and his own mother from a house he built in Togo claiming she is a witch? 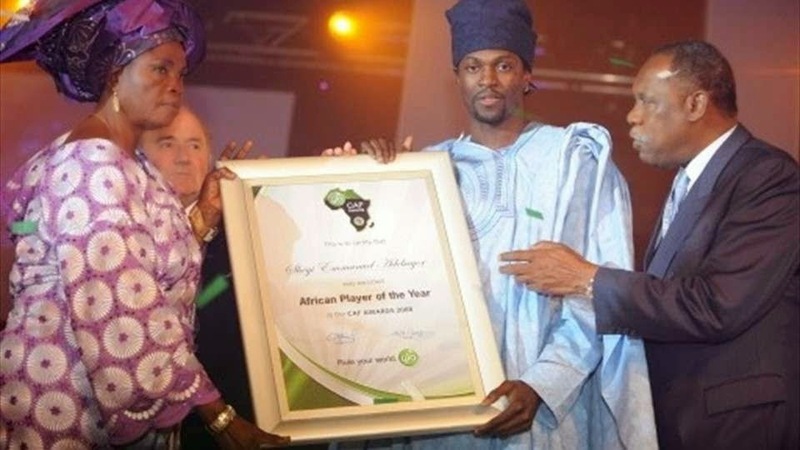 As we speak our mother lives in an apartment rented by our junior brother, Kola Adebayor, who currently lives in Germany.My mother weeps bitterly about the issue every day. Anytime his mother or any of us (his close relatives) call and he realizes, he will quickly cut the call. "Obviously I'm not a pastor, I am a footballer so I cannot point out a witch. I never sacked my mum from the house; she decided to leave the house...But how am I going to be in touch with my mum if my mum is the one telling everyone that my work will not go forward, so I will just be on my side and do my thing. They should stop talking talking, they should stop doing Juju on me; they should leave me alone...The one talking there and calling herself my sister I bought a house in East Legon for $1.2m...can you imagine that sister went to rent the house without my knowledge?" "They don't listen to me so I don't know how to solve this now,They shared my houses, they shared my cars, they say if he dies this car is for you, this house is for you, can you imagine? Right now they don’t need money...If they claim I am not looking after my mother, we are seven and so why can’t the rest do it? “Ask my sister Margaret whether I did not build them a house in East Legon, and what happened to it? I bought my younger sister Lucia a car worth $35,000, where is it?If they want the issue resolved they should stop spreading the news and let’s meet to resolve it but they aren’t willing to do so.